Society might have moved on into the technological age, but ranches are still a big part of American life and can be found all around the nation, particularly the Western and Southern States. Dude ranches have seen a real surge in popularity in recent years, offering an ideal getaway for people who simply want to spend some time in a relaxing environment, far from the noise and smoke of the city streets. These locations can be a wonderful way to while away the hours, offering calm settings and exciting activities for people of all ages to enjoy. New York State is best known as the home of New York City, with its sprawling modern metropolis and millions of tourists, but New York is also home to rural areas around the Hudson Valley and beyond. There are plenty of great dude ranches to be found all around NY, offering family-friendly experiences for guests of all ages to enjoy. Admire the scenic Adirondack Mountains and stunning NY landscapes from the comfort of one of these beautiful ranch resorts on your next vacation. There are several great dude ranch locations just waiting to welcome you through their doors all around New York State. Offering dozens of activities from horseback riding, hiking trails, mini golf, hay rides, fishing trips, authentic Old West experiences, and more, these locations offer something completely different from a typical NY trip. Read on to learn all about the best dude ranches in NY. Set beside the beautiful Hudson River right by the incredible Adirondack Mountains, Stony Creek Ranch Resort is one of the top dude ranches in the state. It got started back in 1942 and is conveniently located near Lake George and many other popular recreation spots. All sorts of activities can be enjoyed at this location, so if you're looking for an active, exciting dude ranch trip, this is the best one to choose. 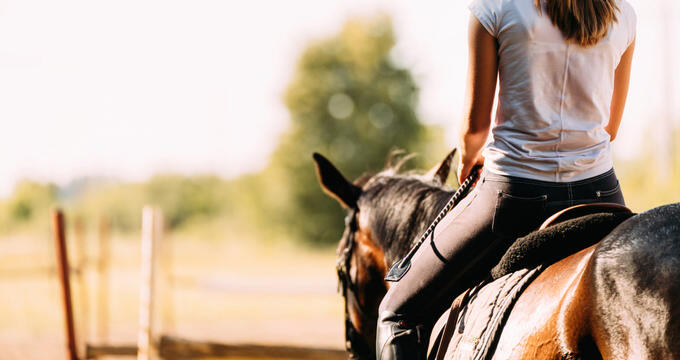 Guests at Stony Creek Ranch Resort can enjoy horseback riding, hiking, fishing, cattle driving, hayrides, cowboy campfires, kayaking, and so much more. Another excellent dude ranch in New York State, Riding Hy Ranch Resort is located in the Adirondack Mountains and has been a popular ranch resort since 1940. Featuring a range of different cabins with comfortable beds and all sorts of luxury features, as well as motel-style rooms and even a Lake House, this ranch resort has a lot of different accommodation options to choose from. This ranch is open all year long with a wide range of exciting activities to enjoy in every single season, including horseback riding tours, swimming, tubing, fishing, pony rides, arts and crafts sessions, waterskiing, fishing trips, hayrides, sleigh rides, and ice skating. Spread out across over 300 acres of land used for both farming and hunting, B&B Ranch is conveniently situated near several popular locations like the National Baseball Hall of Fame and Meadow Links Golf Course. This ranch offers five luxury, old-country rooms with modern amenities and rustic style. Speedy Wi-Fi is provided to all guests along with huge flat-screen TVs and additional amenities like fireplaces and hot tubs. A spa and heated pool are also located on site for visitors who just want to relax and enjoy their stay, while special activities like horseback rides and pheasant hunting tours are also organized on a regular basis. Located on an enormous 600-acre site among the Shawangunk Mountains, Pine Ridge Dude Ranch is one of the top ranch resorts in NW state for families and youngsters. This location is conveniently situated near Minnewaska State Park and Witch's Hole State Forest, with both of these locations being perfect for hiking, cycling, birdwatching, and dozens of other outdoor activities. On-site, guests will be staying in comfortable, country-style rooms with private bathrooms and TVs. Some of the rooms also come equipped with cozy fireplaces, perfect for cool nights, and guests can also fine dining at the local restaurant and food court. All sorts of fun activities can be enjoyed at Pine Ridge Dude Ranch, including mini golf, rock climbing, horseback riding, archery, tractor rides, swimming pools, paddle boats, and even a petting zoo.